Year after year, the city of Denver earns its spot on the list of America’s top 10 fittest cities. That’s an incredible accomplishment given the nations rise in obesity. From North Capitol Hill to The Henry in Downtown Denver, residents are a shining example of quality health. What makes this area such a beacon of fitness? Is there something in the water, or is just the mountain air? Everyone can’t be part of a five day per week workout program, can they? Here’s a closer look at how Denverites stay healthy throughout the year. Albeit a smaller factor, the 300 plus days of sunshine each year add to the overall health of the city. Denver’s position on the high plains beside the Rocky Mountains offer low humidity and moderate temperatures, but the elevation allows those sunbeams to shine down on this metro locale. While all of those benefits are incredible, sunshine also allows residents to get outdoors and stay active. More Denverites are considered “moderately physically active” than the entire nation. While it might just be a combination of active lifestyle culminating in one place, but most believe its thanks to the numerous public options available within the city. You can find more parks, recreational facilities, and playgrounds in Denver than the majority of cities in America. In total, the city has roughly 6,200 acres of parkland and 309 athletic fields. Stand facing any direction and you’re guaranteed to see a chance to stay fit, active, and healthy. This contributes to Colorado’s low obesity rate, which happens to be one of the lowest in the country. A lower BMI helps your body to avoid conditions like diabetes, high blood pressure, and coronary artery disease. Stress kills, literally. Studies have shown that stress can shorten your lifespan and cause undue health complications, which makes avoiding it when possible necessary for a healthy life. Residents in the city of Denver are reported to have one of the least stressful living situations in the county, according to a study by Portfolio.com. Housing options are plentiful, mortgage rates are low, and rent prices remain affordable. The city also sees thousands of college grads each year, many of whom land jobs in Denver’s booming tech industry. Throw in reasonable commute times thanks to the ease of ample public transportation, and it’s easy to see how stress-free this city is. When it comes to healthy the living, the city of Denver takes their initiatives seriously. Efforts to keep the city as green as possible have lead to improved air quality, a better municipal system, and the advancement of eco-friendly technology throughout the area. While all of those efforts are fantastic for the environment, they’re equally as beneficial to the wellbeing of the residents who live there. It also encourages businesses to make their home within the city, encouraging a stronger social scene amongst Denverites. Studies have suggested that stronger social interaction are beneficial to your overall health. They lower your risk for developing diseases, lower your systolic blood pressure, and increase longevity. There are over 300 microbreweries within the city, making one of the beer capitals of the nation. You can find everyone from young professionals to long-time Denver residents enjoying a cold one after work, which might be another reason why this city is so healthy. Research has shown that consuming beer in moderation holds a variety of benefits. Frothy brews are packed full of vitamins and minerals that keep your body healthy, as well as a compound called silicon that increases bone strength. Add in a strong dose of antioxidants, and you have an incredibly healthy concoction. 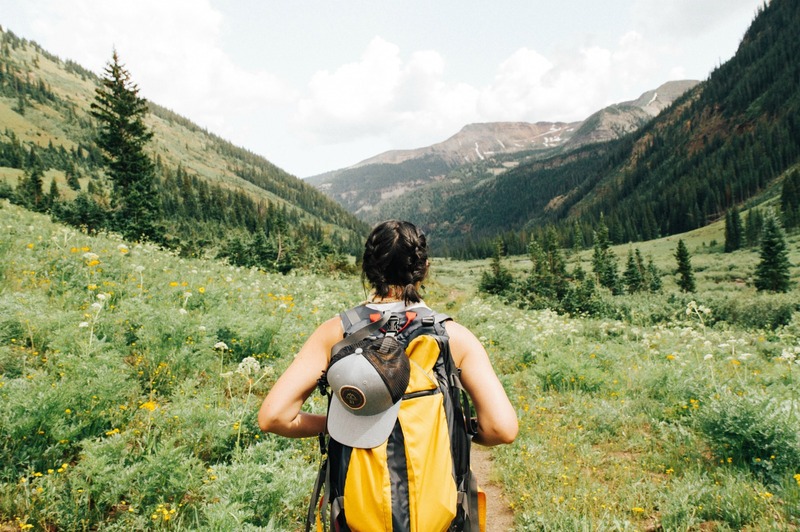 While Denver itself might be home to an ample amount of way to stay active, it is also situated amidst the gorgeous countryside of Colorado. Mountain trails, skiing, and more are all right in the city’s backyard. All of that green space encourages residents to get outside instead spending the day on the sofa, reaping the benefits of both physical exercise and fresh air. Plus, residents get to enjoy the gorgeous nature scenery that Colorado is known for. If living a fit and active lifestyle is important to you, then the healthy culture that surrounds Denver might make it the perfect place to call home. We invite you to come experience a new level of living at The Henry, located in the premier residential neighborhood of Platt Park. This seven-story building sits on over four acres of land, offering residents an enormous 45,000 square foot common space filled to the brim with amenities that suit every lifestyle. Just outside your front door lies the light rail for an easy commute, Washington Park, and Old South Pearl Street’s premier shopping and fine dining. Spacious floor plans combine with modern furnishings to create unique homes for the modern Denverite. Oversized windows provide stunning views of the Rocky Mountains, while private decks allow you to enjoy the metro area’s 300 plus sunny days in peace and quiet. On-site amenities include a media room, spaces for the entrepreneur to conduct their business, and a sky lounge for private events. The Henry’s expansive lawn allows for plenty of outdoor fun, while the resort-style pool offers a chance for both exercise and rejuvenation. For a real workout, try the state of the art fitness center stocked with state of the art fitness equipment. We invite you to experience all that Denver has to offer in style and luxury. Welcome home.